4. How to deliver speed and quality of service to applicants, the courts and tribunals and value for money to the taxpayer. In relation to 1, the paper suggests that there should be some redrawing of the responsibilities of Lord Chancellor and Lord Chief Justice, with more decision making power going to the latter. In relation to 2, there are proposals for opening up more of the most senior judicial positions to open competition. In relation to 4, detailed changes to the size of the Commission and its procedures are suggested. As regards the diversity issues, to which the Lord Chancellor seems particularly committed, a number of quite radical changes are suggested. For example, while part-time working is possible for the lower judiciary, this is not currently an option for judges in the High Court and above; the paper asks whether this should change. Another question asks whether the JAC should be able to apply the Equality Act 2010’s positive action provisions when two candidates are essentially indistinguishable. The consultation ends in February 2012. In 2000, Parliament enacted the Regulation of Investigatory Powers Act. At the time, it was acclaimed by government ministers as Human Rights Act compliant, and was presented as forward-looking legislation. The Protection of Freedoms Bill, currently before Parliament contains provisions to tighten up the use of covert investigatory techniques. And a recent report from JUSTICE makes a strongly argued case for fundamental reform of the regulation of surveillance. public, or watching their house. • In total, there have been close to three million decisions taken by public bodies under RIPA in the last decade. • This does not include the number of warrants and authorisations on behalf of MI5, MI6 and GCHQ, which have never been made public. • Of the decisions we do know about, fewer than 5,000 (about 0.16 per cent) were approved by a judge. • The main complaints body under RIPA, the Investigatory Powers Tribunal, has dealt with only 1,100 cases in the last decade and upheld only ten complaints. security. It has saved countless lives and helped convict hundreds of thousands of criminals. • But unnecessary and excessive surveillance, however, destroys privacy and blights our freedoms. • RIPA has not only failed to check a great deal of plainly excessive surveillance by public bodies over the last decade but, in many cases, inadvertently encouraged it. Its poor drafting has allowed councils to snoop, phone hacking to flourish, privileged conversations to be illegally recorded, and CCTV to spread. It is also badly out of date. enough for what is already a piecemeal Act. Root-and-branch reform of the law on surveillance is needed to provide freedom from unreasonable suspicion, and put in place truly effective safeguards against the abuse of what are necessary powers. • This report sets out a series of recommendations to serve as the basis for a draft Surveillance Reform Bill. For many years, it has been argued that the filter is unnecessary and this summer the Ombudsman consulted on whether the time had come to remove the filter. Today, she reports that the overwhelming consensus of opinion is that this time has come. Following a recent report from the Law Commission, calling for a more general review of public service ombudsmen, it seems as though there might be an opportunity to make the requsite changes to the law. It won’t happen overnight – but would be a sensible reform that would improve access to the Ombudsman. 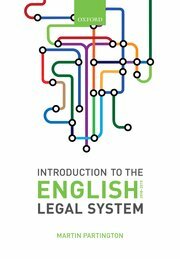 What legal services should be regulated? In the book, in Chapter 9, I draw a distinction between legal services and lawyers’ services. Under the Legal Services Act 2007 there are a certain number of functions which are called ‘reserved legal activities’, which must only be undertaken by professionally qualified lawyers or by people who are members of other groups who are authorised to provide such services. These include the conduct of litigation and probate activities. During the summer of 2011, the Legal Services Board launched a consultation on whether other legal services provided by people not members of the legal profession should also be regulated. The Board noted that ‘there are two main types of legal service regulation. Some lawyers are regulated in respect of all their legal work by virtue of their professional membership and accompanying title – the best known of which are solicitors and barristers. Others are authorised by a legal services regulator to undertake one or more of the six specific “reserved legal activities” which brings them within the scope of legal services regulation’. They also noted that one consequence of this is that ‘there is no specific legal services regulation of people who neither have a protected title nor offer any of the reserved activities. Will-writing is perhaps the best known of the services frequently undertaken by unregulated providers, but there are many others including many forms of general legal advice. In such cases, consumer protection arises only from general consumer law and voluntary schemes of regulation, rather than any other statutory requirements: importantly, consumers have no automatic right of redress from the Legal Ombudsman’. The reason for this is that regulation of legal services has grown up in a piecemeal fashion. There have been no overarching guiding principles. The Board sought views on whether and to what extent there needed to be a further raltionalisation of the scope of the regulatory framework for legal services to enhance consumer protection, particular as the arrival of alternative business structures may result in the emergence of rather different forms of legal service delivery. Major proposals for the reform of the family justice system are recommended in a detailed report of the panel chaired by David Norgrove. It was particularly shocked by the current delays in the system. It argues that everyone involved in the family justice system should consider how their own functioning might be improved. The creation of a new Family Justice Service to make sure agencies and professionals work together to make positive improvements in the system for children and families. The report also recommended significant investment in IT to improve the efficiency of court processes. One controversial issue which the review does not pursue was the idea that there should be a legal presumption in favour of ‘shared parenting’. Evidence from countries where this had been introduced suggested that such a legal presumption did not ensure that the best interests of the child – the fundamental legal test in all children’s cases – were always taken into account as fully as they should be. The Government’s detailed response to the report will be available in due course. There are significant tensions between what is recommended here and the changes proposed to the legal aid scheme which may affect the extent to which the Government will actually adopt the recommendations.